Jollibee recently released this new brochure features Jollibee's latest promo for those who will book a party until June 30, 2019. Jollibee is giving away a Jollibee drawstring bag for free for minimum food purchase of 12,000 pesos. 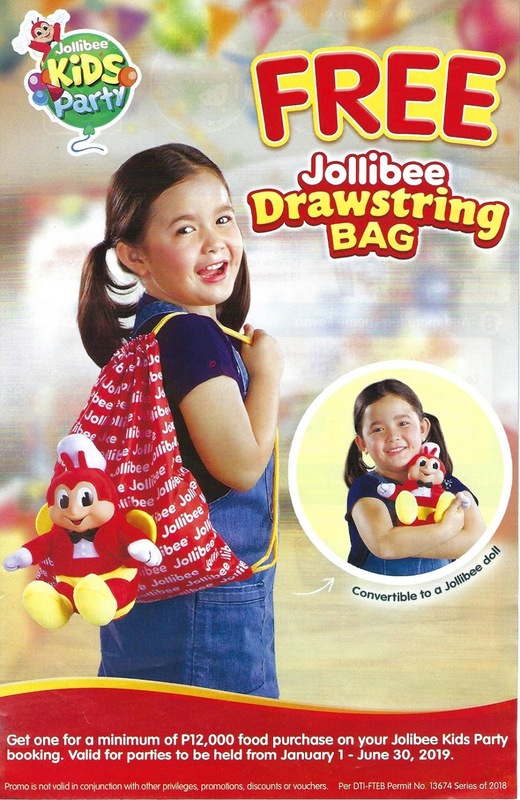 The drawstring bag is convertible into a Jollibee doll. 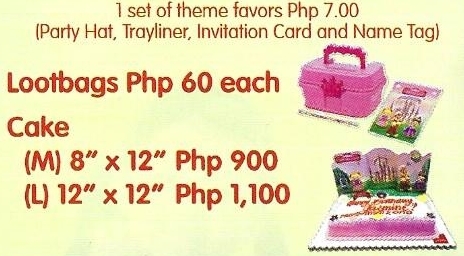 Jollibee offers the following party themes: Jollitown, JolliRace, Hello Kitty Fun Carnival, Jollibee Fairytale Land. 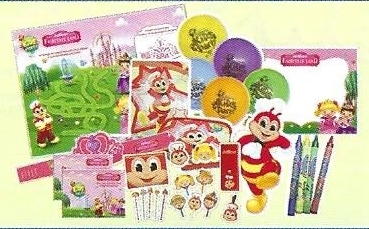 For party favor fee of 1,500 pesos, Jollibee gives the following party favors: 30 name tags, 30 balloons, 15 assorted game prizes, 15 party hats, 15 invitation cards, 15 trayliners, 5 boxes of crayons, 1 message board, and Jollibee mascot appearance. For party favor fee of 2,000 pesos, Jollibee will still gives the above listed party favors plus 10 loot bags. 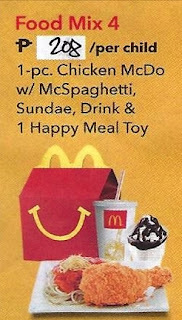 Additional loot bags costs 60 pesos each. Jollibee also offer birthday cakes. The medium-sized cake costs 900 pesos while the large-sized cake costs 1,000 pesos. 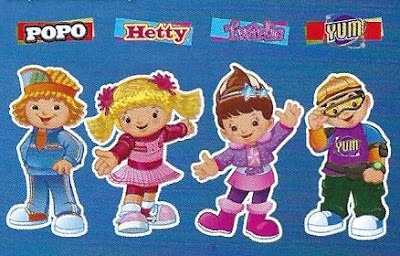 You can also add Jollibee's friends: Popo, Hetty, Twirlie, and Yum for 1,000 pesos per mascot for 30-minute appearance with Jollibee. 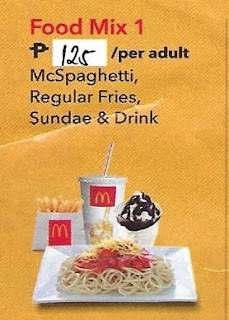 Food Package A consists of Jolly Spaghetti, regular fries, regular softdrink, and sundae. 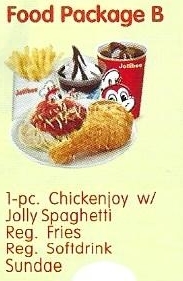 Food Package B consists of 1-piece Chicken Joy with Jolly spaghetti, regular fries, regular softdrink, and sundae. 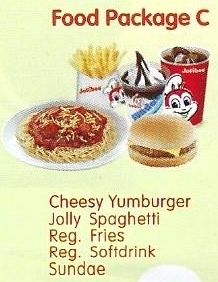 Food Package C consists of Cheesy Yumburger, Jolly spaghetti, regular fries, regular softdrink, and sundae. 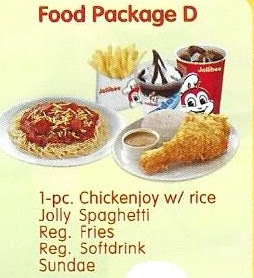 Food Package D consists of 1-piece Chicken Joy with rice, Jolly spaghetti, regular fries, regular softdrink, and sundae. Create Your Own Food Package is available for minimum 5,000 solo items. Jollibee will give a special gift fir thr birthday celebrant. I guess that the gift will be a Jollibee toy that being sold at the time of the party. 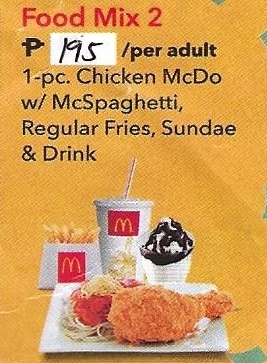 These are the latest Jollibee party package for 2019. 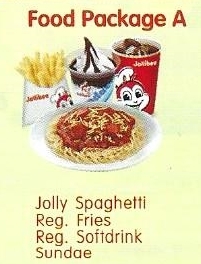 I hope that this will be a good guide for you who are planning a Jollibee birthday party for your kids. McDonalds Philippines released the newest brochures for its McCelebrations or McDo party and it features my children's favorite train: Thomas and Friends. Barbie and Hot Wheels are also featured. 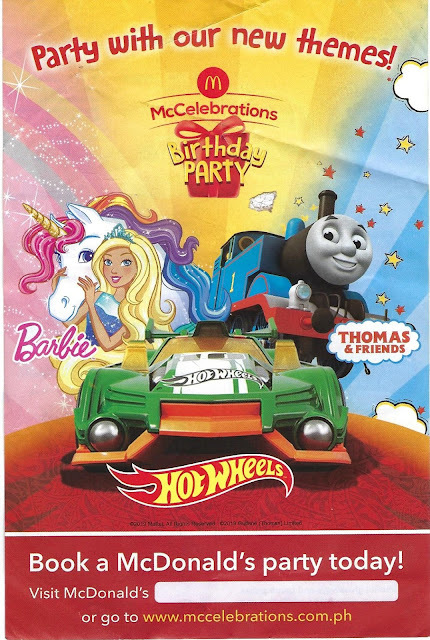 These three cartoon characters are the newest party themes for the McCelebrations Birthday Party. 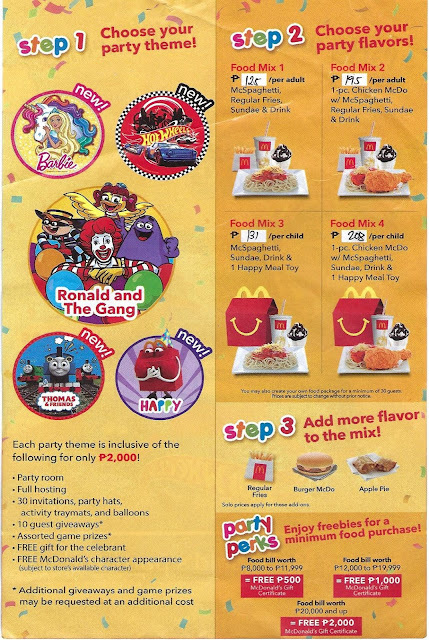 Aside from these three party themes, McDo also has two McDo party themes, namely, Ronald and the Gang and Happy. 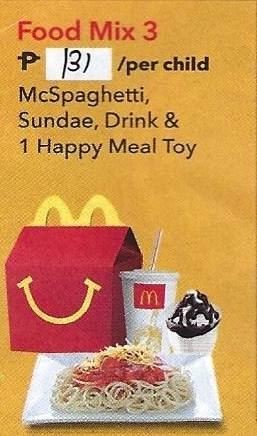 The 5 McDonalds birthday party themes are at the back of the brochure. The McDo birthday party brochure also listed the 4 Food Mixes,the McDo party perks, party favors, and the three easy steps in preparing the McDo party for your kids. So, read if you're planning a birthday bash for your kids in McDo then I suggest that you get a McDo party brochure at the McDonalds branch nearest to you or talk to any of McDo crew.